Are you planning on a road trip adventure soon? Why not try heading to the north and enjoy days of fun, sun and the beach? Laoag City, Ilocos Norte is just the perfect destination for you and your friends where you can dine, learn about a rich cultural heritage, enjoy the tranquility of the sea and of course, take a break from the daily grind. Situated 400 kilometers from Manila, the capital city of Ilocos, Norte, is a perfect combination of Spanish and Ilocano heritatge. Laoag and its boundaries, Bacarra, Paoay, Sarrat, Vintar and San Nicholas boast of ancestral houses, century-old churches, historical structures and great food! To really enjoy the city and its neighboring municipalities, you need at least 4-5 days, excluding travel time if you are going to drive up to the north. 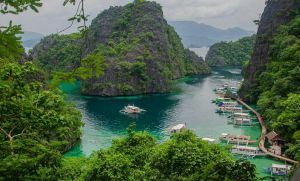 The 10-hour drive from Manila might be a long haul but it need not be boring as there are many pit stops to enjoy. You get to enjoy the scenic spots as you cruise along the coastal highways, passing by parts of Ilocos Sur and Ilocos Norte. Or, you can also take a 45-minute flight to Laoag International airport any day of the week. If you don’t want to drive or take the plane, there are also buses you can take from Manila via an overnight trip. Within the city, there are a number of interesting sites to go to even at night and this 45-meter structure called the Sinking Bell Tower is one you should not pass up. Locals say that this bell tower got its name because it sinks at approximately one inch annually since it was built on sandy ground. Located just a few meters away is the St. William Cathedral of Spanish Heritage and built between 1650 and 1700. Other landmarks include the Tobacco Monopoly Monument and the Provincial Capitol. You can also spend an hour or two in Museo Ilocos Norte to learn more about the culture and tradition of the Ilocanos in this part of the province. Being there would feel like traveling back in time as you will be seeing how life was before the 1940s for the locals. The ancestral houses are also a marvel to see even in the nearby towns. For an adrenaline rush and some outdoor adventure, experience riding a 4×4 jeep and sand surfing unlimitedly in Lapaz Sand Dunes, a unique desert environment which is a mere 15 minutes away from the city. North of Laoag is another destination not to miss. Traverse a long winding road and end in the first Wind farm in the Philippines, the Bangui Windmills. With 20 tri-blade windmills, standing at 70 meters high, these wind turbines supply 40% of the electricity in Ilocos Norte. 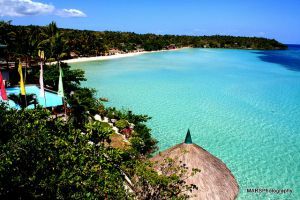 On your way home, spend a day or two in Pagudpod to enjoy the white beaches considered as Boracay in the North. Swim in crystal blue waters and get mesmerized with the beautiful sunset. Meanwhile, you can also drive by the Marcos Museum and Mausoleum after lunch before heading to the beach. You can find some memorabilia of the late president and see the body of the late President Marcos in the mausoleum just near the museum. Ilocos Norte is worth the long drive not only for its beaches and beautiful sights. You can also feast on different foods Ilocanos are famous for like bagnet, empanada and lobsters. So, the next time you plan your next vacation, go North!